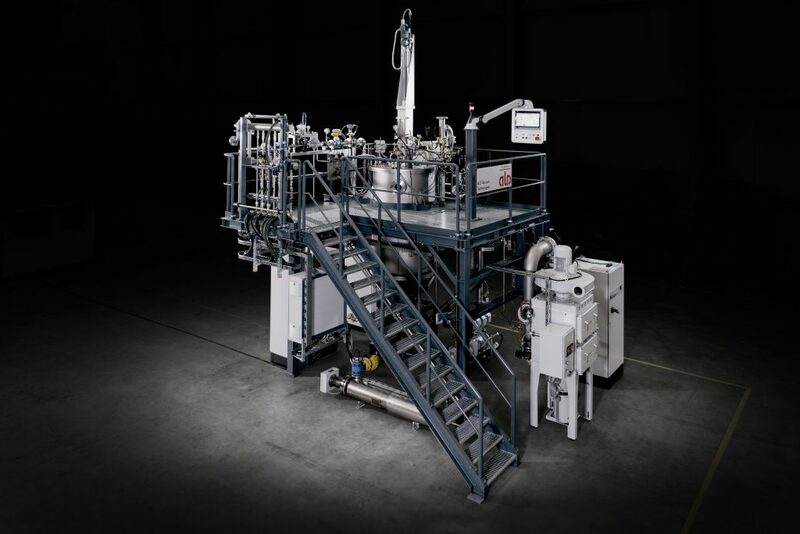 ALD Vacuum Technology GmbH is the market and technology leader for vacuum inert gas atomizers used in the production of high-quality metal powders. In addition, ALD has extensive experience in combining various melting technologies with inert gas atomization systems to address particular material requirements. The application-specific combination of melting and atomization techniques enables production of a wide range of super-clean metal powders, including super-alloys, precious metals, refractory and reactive metal powders. Our clients can choose between two main atomizer types, namely EIGA and VIGA, for charge weights from 5 kg up to 2000 kg. Customized EIGA and VIGA design variations are available to meet customer specific requirements. The electrode induction melting inert gas atomization process was developed and patented by ALD as an alternative, ceramic-free melting and atomizing process to produce high-purity, reactive, refractory and precious metal powders. Today, EIGA is used as one of the leading processes for high quality manufacturing of titanium, zirconium, niobium and tantalum alloy powders. The EIGA system design is based on a vertically-oriented, rotating electrode that is continuously melted at one end inert gas atmosphere without a ceramic crucible using controlled motion into a specially designed, conical induction coil. The design of the induction coil and the frequency of the generator are optimized to achieve the necessary heat, causing the melt to drop from one end of the electrode. With proper controls, a continuous stream of molten material falls directly into the center of an annular slit. Then, the molten metal is transformed with an inert gas nozzle using a high-velocity gas stream to atomize the melt. The micro-droplets spray solidifies while traveling down the atomization tower and forms spherically shaped fine powders which are collected in a vacuum-tight powder container. The VIGA2B-EIGA integrated system was specifically developed for laboratory use and R&D projects. This system is operated with either a VIGA2B melting chamber or an EIGA melting chamber. The system is designed such that change the melt module between VIGA and EIGA requires only a few hours. All other downstream equipment such as the atomization system and controls are used for both operational modes without any need for system component changes. With the two operation modes the VIGA2B-EIGA combinational system enables production of a broad spectrum of different metal powders. Our clients trust ALD’s 150 years’ experience and knowledge in developing, engineering and supporting advanced furnaces designs and choose from diverse state-of-the-art VIGA and EIGA systems for production of numerous high-performance metal powders. If you require a specialized furnace concept ALD welcomes the opportunity to engineer and build a customer-specific inert gas atomizer which meets your requirements and applications.